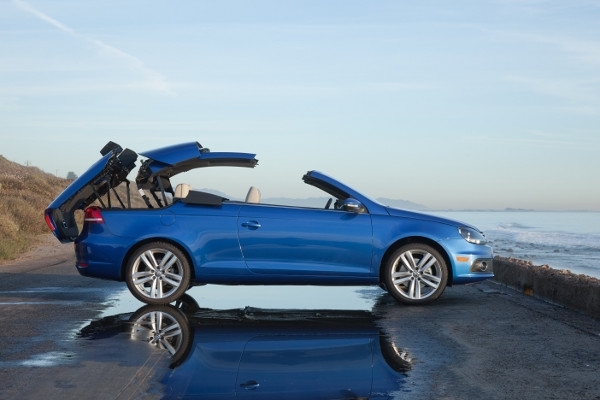 There is only a small group of four-passenger convertibles on the market – really, just about half a dozen – and even less that start under $35,000, which makes the four-seater, hardtop Volkswagen Eos a rare vehicle. 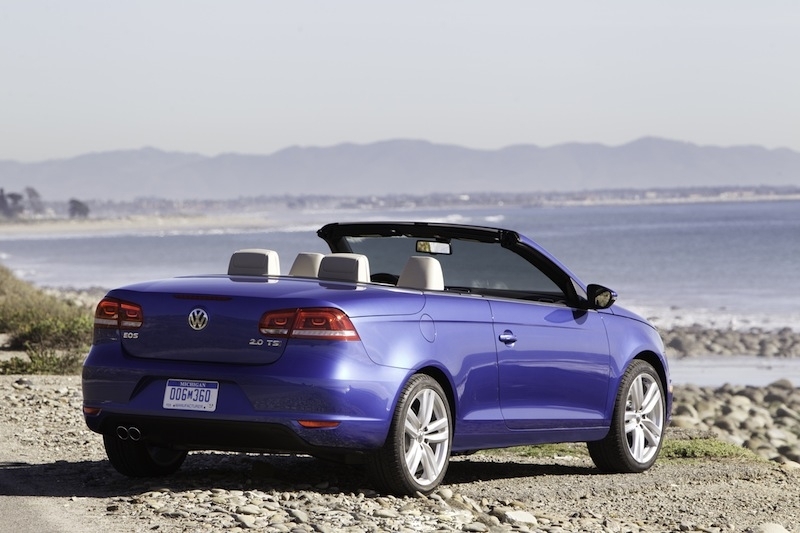 For 2012, the Eos has been redesigned to incorporate the new Volkswagen design language, and the result is less bubbly droptop and more sophisticated small convertible. Modifications go beyond the exterior design, and the interior has been freshened as well. More technology options are on hand, and a new standard six-speed automatic transmission is an upgrade over the outgoing model’s. What has remained the same is the drive quality, which we’d like to see a little tighter. The hardtop roof isn’t anything new, but it still seems special. The top retracts quickly and quietly, and leaves room for a few bags in the trunk. The Eos is a fun car with plenty of standard features, and the facelift has modernized its look. 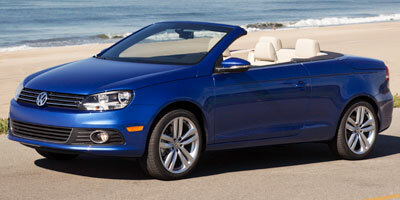 It should be on the top of your shopping list if you’re in the market for a stylish, mid-$30,000 convertible. Styling of the hardtop makes the Eos look good with it either up or down, and it folds away speedily as well. Overall design is much improved. For a convertible, this one’s very quiet with the top up. The standard touch screen’s integration and ease of use is fantastic. Three years or 36,000 miles of free scheduled maintenance is always a plus. Headroom and legroom in the rear is predictably tight; taller passengers will be grateful if you put the top down (or seat them in front, for that matter). 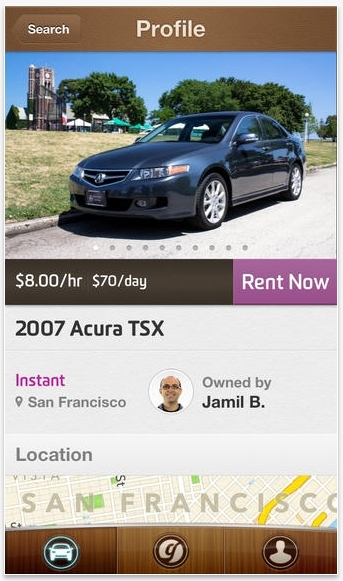 Pricing – $33,995 to start – can quickly rise, edging you closer to Audi A5 Cabriolet and Infiniti G Convertible territory. The drive is a little soft, and those looking for an aggressive performance quality should look elsewhere. Trunk space is diminished when the top is down. The Eos is about a fun, relaxed drive experience, and the drive qualities reflect these characteristics. The hardtop roof creates a seal when up that lets little wind noise through, and when down, the air channels through without too much disruption inside the cabin, thanks in part to a popup wind deflector. Road noise permeates more than we’d like though, especially through the wheel arches. The suspension has been tuned to produce a firm ride without compromising too much comfort, and the handling subdues the majority of body roll. All Eos trims are equipped with a 2.0-liter turbocharged four-cylinder, an engine powerful enough to handle anything you’ll be throwing at this car, but a little underpowered compared to others in the segment. The turbo spools quickly, resulting in peppy acceleration. The new six-speed DSG transmission shifts smoothly. While its outfit is new, the Eos features a carryover 2.0-liter turbocharged four-cylinder engine that produces 200 horsepower and 207 lb-ft of torque. New for this year is a standard six-speed Direct-Shift Gearbox transmission, which is essentially a dual-clutch transmission – it provides near seamless shifts by prepping one gear while releasing the other. As with most VWs, the Eos comes extremely well appointed. 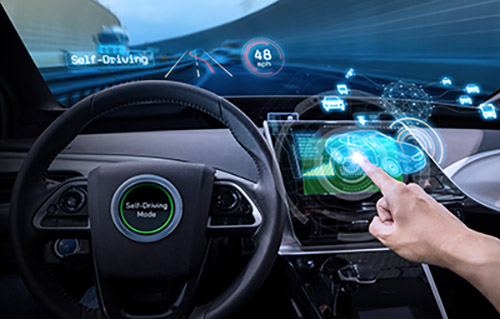 Some standard features include heated seats, a multi-function instrument cluster, USB and auxiliary inputs and Bluetooth hands-free connectivity. Rain-sensing windshield wipers are available on the Lux and Executive trims, as is a navigation system and leather seats. A 600-watt Dynaudio premium sound system is available as well. While hardtop convertibles aren’t a new phenomenon, the Eos' is quick to retract and is pretty cool to watch in progress as the entire trunk lid lifts away to incorporate the rooftop. The roof will also retract halfway, performing double duty as a large sunroof. The standard touchscreen system is a solid tech component, and easier to use than most on the market. It houses the navigation system, which has Sirius satellite radio and traffic capability. It’s odd that the previous Eos returns better gas mileage than the new one. 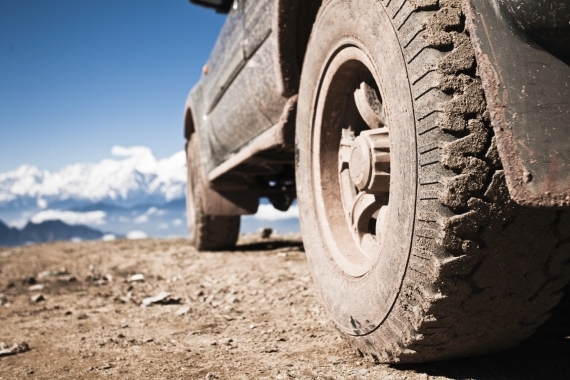 Highway miles per gallon dropped from 31 to 29. City mileage fared better, with an increase from 21 to 22. Chalk the slight changes up to design modifications and the new gearbox. The interior of the Eos is driver-centric and cockpit-like, and as spacious in the front as it is cramped in the rear. All four supportive seats are covered in leather or leatherette. A large touchscreen display takes up most of the real estate in the center stack, and the surrounding buttons are mainly for climate control, keeping the overall look very button-light. A multi-function instrument cluster display shows current audio, navigation and vehicle settings as well. This is the area in which the Eos most benefitted from this year’s refresh. The exterior now sports a design language resembling the rest of the modified VW lineup. A streamlined grille leads the way for less bubbly looking styling elements throughout the body, culminating with sharp rear taillights. Retaining the same pricing for the Eos is a departure from Volkswagen’s latest attempts to undercut costs, which they’ve done with the new Jetta and Passat. As it’s just a refresh though, you can expect the same high quality for a similar price. The Komfort trim begins at $33,995, the Lux at $37,250 and the Executive at $39,220. Competitors are all over the map, with the BMW 128i and Volvo C70 coming in closest to Eos pricing. You’ll also want to look at the Mazda MX-5 Miata Hardtop Convertible, Ford Mustang Convertible and Mini Cooper Convertible as cross-shops. It’s not the fastest convertible on the market, nor is it the most plush, but the Eos strikes a strong balance between its middle-of-the-road pricing and large selection of standard luxury amenities. The redesigned exterior now looks more expensive and modern than the base price reveals, and in the end, the Eos emerges as a solid performer across the board.